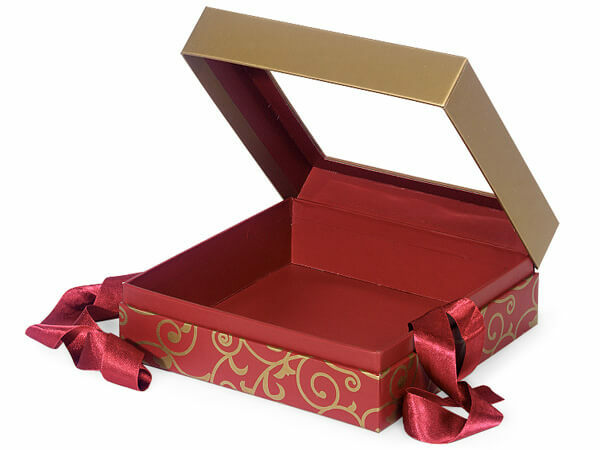 X-Large size Elegant Red Scroll Gift and Gourmet Presentation Boxes sold by the carton. Each ribbon tie is around 26" in length. Great for Christmas or Valentine packaging! Inside dimensions are: 7.25" L x 7.25" W x 2.75" H.